The Cloudwaker 50SFX2 performs well in benchmarks but to get that to translate to real-world performance you will have to play around with the picture presets. For everyday viewing, the TV is fine especially considering its price point. However, if gaming is a priority, I suggest you increase your budget. H.265 playback is nice but if your file size is large, then playback will suffer. Also, playback controls on the remote control are pretty much useless. The TV also brings with it an AOSP experience, which means that streaming services are mobile version and won’t do justice to the display. You also can't log into YouTube to make the most of Google’s streaming service. If you are looking for a TV for everyday set-top box viewing, then yes, you can consider it. If you are looking for a great smart FHD 50-inch TV, there are better options to choose from. Buying a TV when you’re on a tight budget means making some compromises, but if you know exactly what you are looking for in terms of performance, smart capabilities and more, then you can make an informed decision and get a product that offers the right kind of value for money. Today we have with us the Cloudwalker 50SFX2 Full HD Smart LED TV. As of writing this review, the 50-inch TV is available for Rs 28,990. Does the Cloudwalker 50SFX2 deserve your attention? The Cloudwalker TV doesn’t have a slim design and like we’ve said before, that’s ok as long as the TV performs well since it is a budget TV. 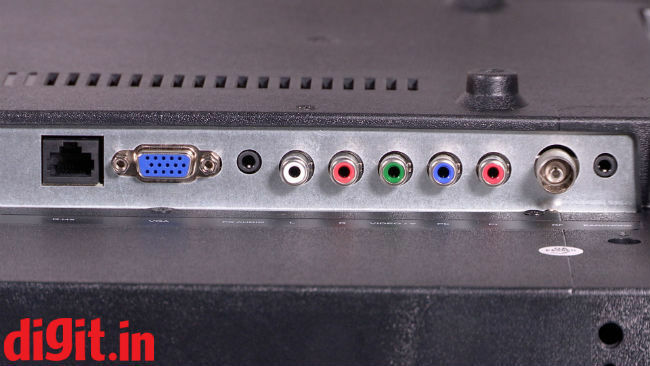 The majority of the TV’s back is constructed out of plastic, with the HDMI ports and USB ports located on the side and the rest of the ports placed at the back. The bezels surrounding the TV are relatively slim. What’s really nice is that instead of having plastic feet, the TV has metal feet. This gives the TV a sturdy feel when kept on a table. Overall, the build of the TV is good. Whether you wall mount it or place it on a table like us, it will fit in with your room decor. When it comes to connectivity options, the TV has an interesting set to offer. 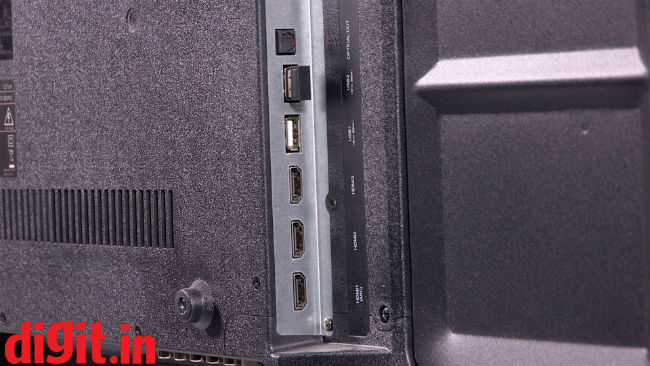 It has three HDMI ports on the side, one of which is ARC along with the optical port and 2 USB ports. At the back, the TV has an RJ45 port, VGA, PC audio, RCA input, good old antenna and a headphone out. The only bummer is that one of the USB ports is occupied by the dongle that comes with the remote control, which means that effectively you are left with one free USB port. The device has WiFi as well. When you look at the product descriptor of the Cloudwalker TV it says that the TV is 4K Ready Smart Full HD LED TV. By 4K ready the company means that the TV has the ability to play 4K files but the output that you will see will be in 1080p. 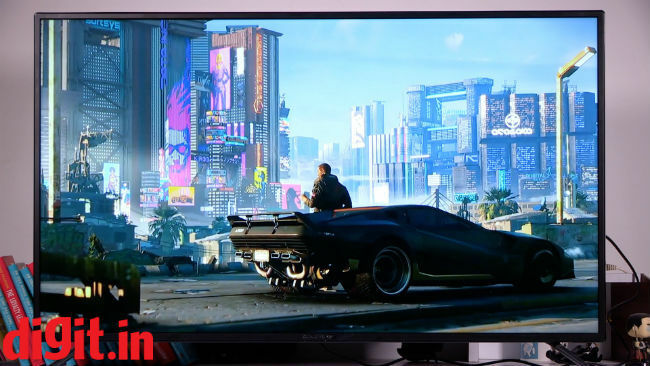 When it comes to gaming, this has helped give users a supersampled image ensuring you get a richer image on a 1080p panel. How this works practically on this TV is something we will talk about in the upcoming sections. The TV also supports h.265 file format playback via USB which is great if you have your own library of videos. The TV has an 8-bit VA panel and the company didn’t disclose the manufacturer of the panel to us. The company also told us that the TV has DLED backlighting which is good for uniform brightness on the panel. Once again, we will talk more about this in the coming sections. Since the TV boasts of being 4K ready, we decided to play some 4K content on it. Sadly, the Xbox didn’t recognize the TV as capable of playing back 4K content, so we had to load up Avengers: Infinity War on a pen drive. The rip we have is a 4K HDR rip encoded in h.265. The file played using VLC player that we downloaded from the app store. The rip that we have of the movie is quite heavy and that had an impact on the performance. There was regular stutter when playing back the file, hampering the viewing experience. If you have other files that are a few GB in size, they should work. But climb up the ladder to about 8GB and the video files will stutter. For 1080p streaming we resorted to our standard set of content ranging from Star Trek Discovery, Daredevil, Spiderman Homecoming, John Wick and Grand Tour. Kicking things off with John Wick, the Red Circle fight scene has a lot of blooming and halo effects with colours looking washed out. We switched the preset to ‘movie’ and found that this setting works best for watching movies and TV shows. It reduces the overall brightness and increased the colour saturation; however, the image isn’t perfect still. We had to manually adjust the preset to arrive at performance that we liked. The performance isn’t perfect, but for the price, it is good. Even in Star Trek Discovery, changing the preset to movie made space look black instead of grey which is what it looks like on the standard preset. Tweaking the settings will improve the picture quality but if you don’t want to delve deep into the settings then the movie mode works best. For a show like Daredevil, it is an entirely different story. The staircase fight sequence has a problem whichever way you look at it. In the standard preset you have a lot of noise, in the movie preset, things get too dark, in the vivid preset you will see a lot of blooming. In show like Young Sheldon where you have a majority of the sequences is in well-lit places, the movie preset makes the content look good. Colours look rich, environments look vibrant and it is only in the closeups that you will notice blooming. There are times when colours look off, but the average consumer won’t notice that. The same can be said for a show like the Grand Tour. Overall, for 1080p content consumption, the panel of the TV isn’t perfect. It has its shortcomings with content that has low lit environments and content that needs to show more details in the dark. However, if you will watch shows like Big Bang Theory or any of the barrage of Indian soap operas on this TV you should do fine. Movies like John Wick and shows like Daredevil, highlight some of the limitations of the TV. For gaming, we played some Forza Horizon 3 and Rise of the Tomb Raider on the TV. Kicking things off with Forza Horizon, the environments are bright, vivid and flush with colours. When you stop and look at the details on a car, you see all the colours there, but it lacks vividness. We changed the picture preset to vivid and the colours did pop a bit with the trade-off being that the colour black now has a hint of grey in it. Once again, you can manually delve into the settings to get the picture performance to look good. Moving over to Rise of the Tomb Raider, again, things that need to be in the dark are visible because what’s black looks slightly grey. Changing between the vivid mode and movie mode, movie mode works better for a game like Tomb Raider. 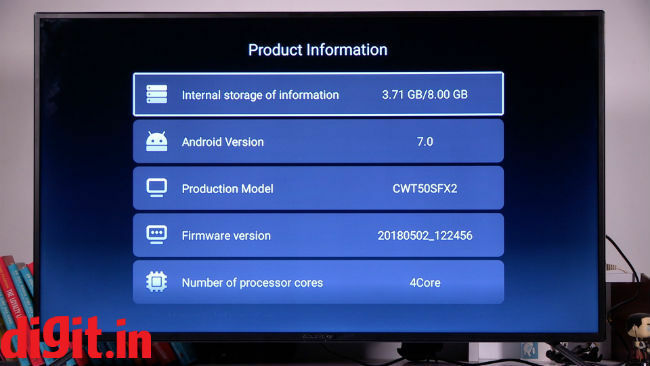 The TV runs on Android AOSP out of the box which means that most of the apps you can download from the app store are mobile versions. Don’t expect to get the best experience from apps like Netflix. 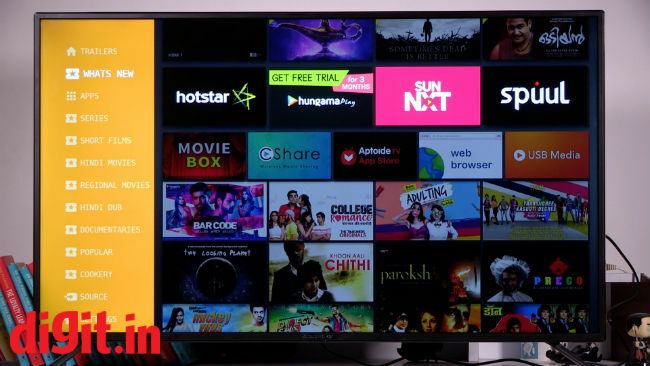 During the review process, we got an update on the TV which brings with it the official Hotstar App, 90 days of free subscription to Hungama Play, 30,000+ hours of content from services such as HomeVeda, MovieBox Spuul and more along with some performance updates and bug fixes. The TV now runs on Android 7. The UI of the TV has nice card-style layout giving you access to everything in layers. The topmost layer has a row of movie trailers, the next has new apps to the UI, followed by a row of apps on the TV, followed by various genres of content like popular videos, documentaries, Hindi movies, regional movies, so on and so forth. All these content pieces link back to videos on YouTube only as of writing this review. The only downside to the UI is that elements like source and settings are right at the bottom. Sure, you can quickly access them from the remote control, but it would have been nice to see source and settings right up top to get to. Another downside is that settings like HDMI CEC and ARC are under a tab called ‘common’ in the settings and took us a while to find them. It would have been nice to have these under a more accessible name like advanced. Overall, the UI is fluid, streaming content that is listed is a breeze with the biggest downside being that access to services like Netflix gives you a mobile experience. There is also no Google Play Store which means that if you want to watch the trailer for Cyberpunk 2077, you can’t as it is age restricted and needs you to log in. You cannot log into YouTube because there is no Play Store. Bummer. We used the Spider Elite 4 to test the TV and the results are a mixed bag. 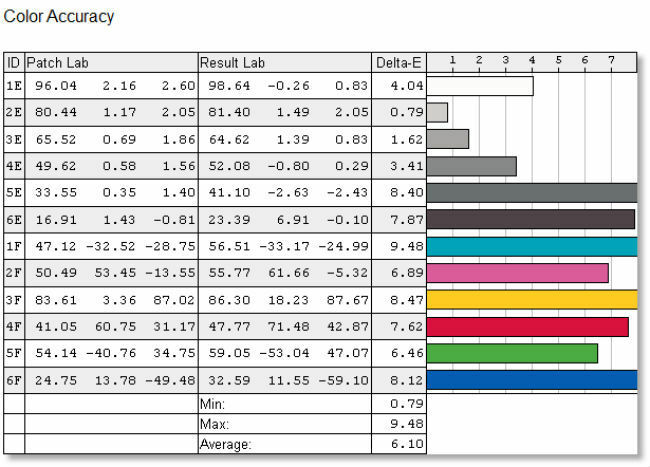 From the benchmark scores below you can see that the brightness of the TV is quite high even at 0% brightness. At lower brightness, the contrast is high which is a good thing. The colour uniformity of the TV’s panel is good however the colour accuracy suffers. Overall, to use this panel to its fullest, you will have to manually change the picture settings. You can see the benchmarks of the TV below. Speaking of the sound, the TV has 20W of sound output and it can get quite loud, especially for a small room. In shows like Young Sheldon and Big Bang Theory, the vocals are clear, and the experience was enjoyable. However, when it comes to action-packed sequences, the audio lacked bass. The speakers though are quite loud and at about 50 percent volume sound room filling. The remote control is big, bulky, made of plastic, and loaded with buttons all of which are clicky. 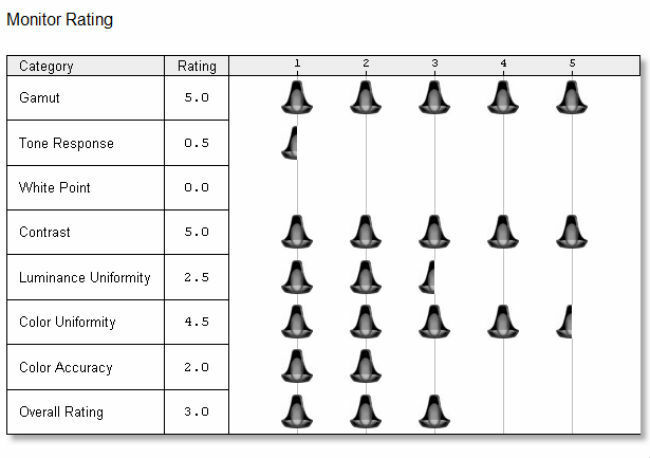 At the top, you have the most important stuff like picture settings, sound settings, source selection, power and mute. Below that you have the number pad, below which rests the directional buttons, ok button, a shortcut to your applications, a multitasking button and the mouse button. The mouse is motion controlled and communicates with the TV via the USB dongle that comes in the box. It isn’t the most fluid mouse we have seen on a TV but it can help navigate the mobile versions of apps available on the TV. Navigating mobile versions of apps like Netflix is a real pain and the mouse helps ease off some of that frustration. You also have a help button which is nice and brings up an email ID you can send your queries to along with a toll-free number. The remote control also brings with it playback controls but sadly, they don’t work with streaming apps or VLC. All in all, the remote is traditional, has every possible button you could want on it and gets the job done. The biggest downside is that you need to point it at the IR receiver on the TV to get a seamless experience. Block the receiver and you are in for some frustration. The Cloudwaker 50SFX2 performs well in benchmarks but to get that to translate to real-world performance you will have to play around with the picture presets. For everyday viewing, the TV is fine especially considering its price point. However, if gaming is a priority, I suggest you increase your budget slightly and consider a TV like the Mi TV 4A Pro. H.265 playback is nice on the Cloudwalker but if your file size is large, then playback will suffer. Also, playback controls on the remote control are pretty much useless. 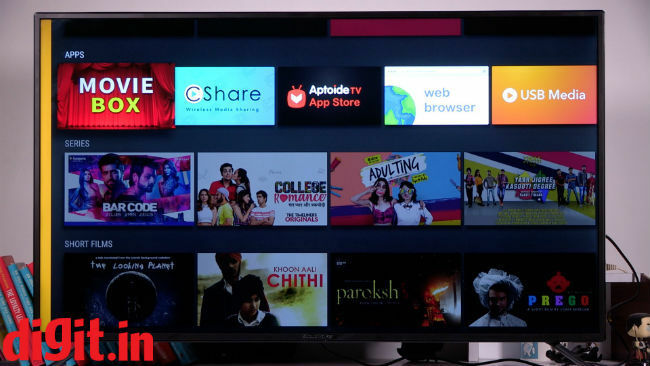 The TV also brings with it an AOSP experience, which means that streaming services are mobile version and won’t do justice to the display. You also can't log into YouTube to make the most of Google’s streaming service. If you are looking for a TV for everyday set-top box viewing, then yes, you can consider it. If you are looking for a great smart FHD 50-inch TV, there are better options to choose from.